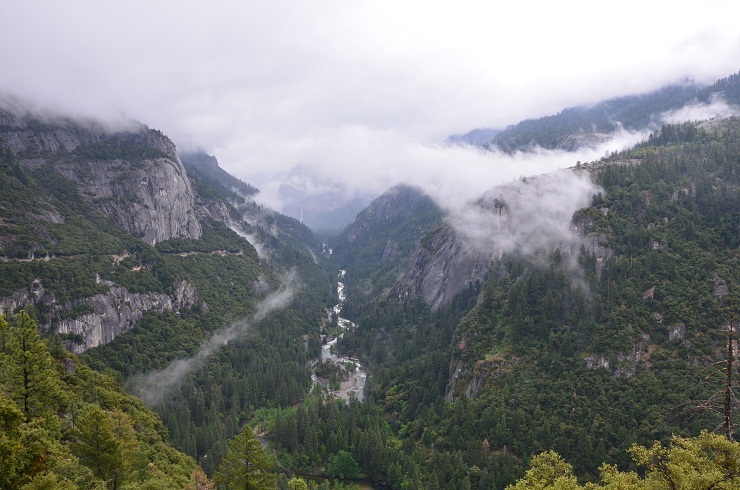 Although we did not see much, our full-day hike through the mist high above Yosemite Valley remains the most memorable one we did during the three weeks we spent in California. 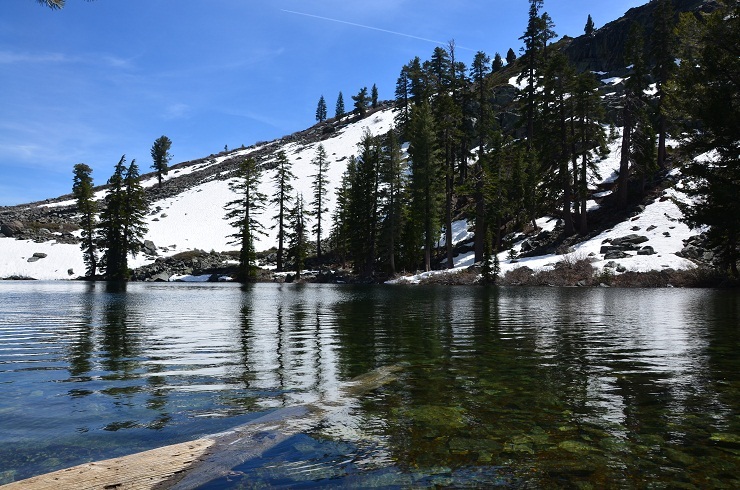 Hiking the Tallac trailhead above Lake Tahoe is a close second. 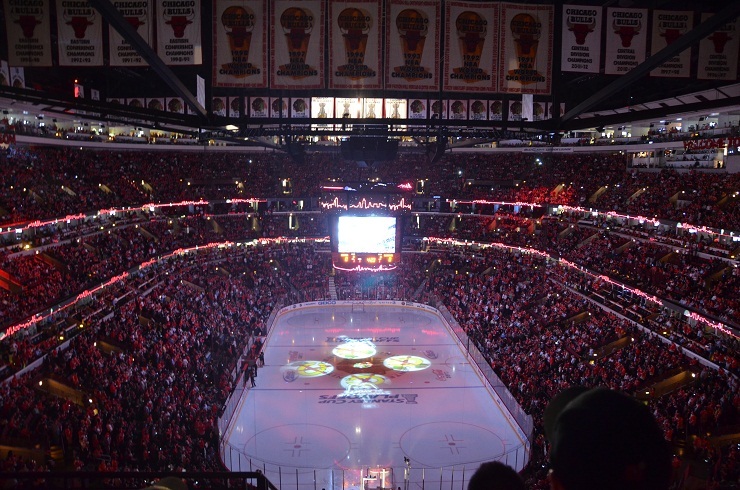 Our whirlwind travels, which will likely take months to chronicle in the pages of this blog, brought us to Chicago for several days during a crucial time for Chicago’s sports teams. Not only were the city’s two baseball teams squaring off for a set of interleague games, but also the Chicago Blackhawks, down 3-1 in the second round of the playoffs, staged an incredible comeback to tie the best of seven series at 3-3, setting up the deciding game 7 our last night in Chi-town. South Lake Tahoe, where we spent two nights, is not much to write home about. The town is all strip malls and gaudy tourist infrastructure that was built up for the Olympics half a century ago and was never updated or renovated. 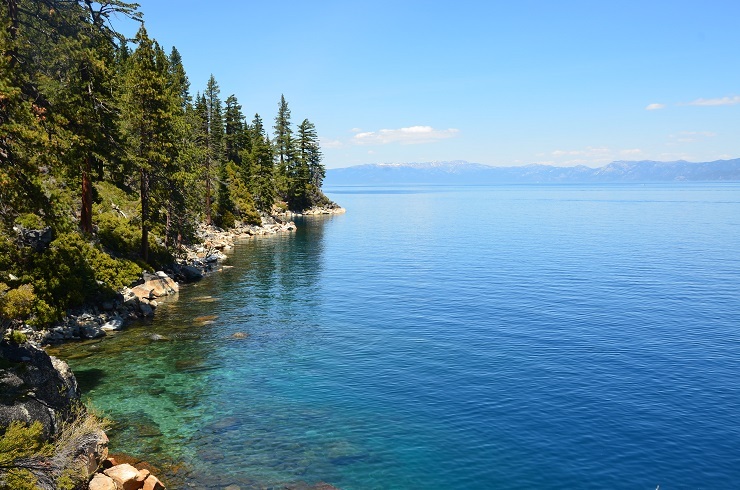 Amid the dingy-looking motels that line Tahoe Boulevard – an ugly scar on the beautiful lakeshore – we found a fantastic hotel through the unlikeliest of sources. From Yosemite we made our way north to Lake Tahoe. Had we stayed a few days longer, the Tioga Pass would have opened, making for a relatively quick drive through the Sierra Nevada mountains. 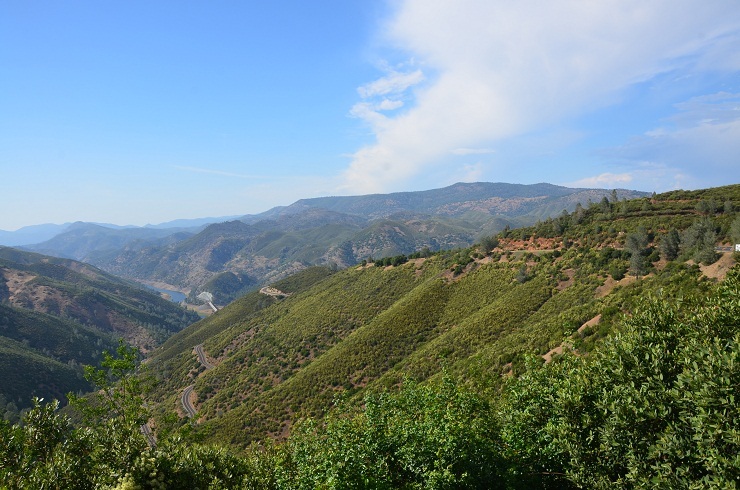 As it was early in the season and the Tioga road was still closed, we had to leave the mountains and make our way north around them, adding a few hours of sightseeing to our scenic route. 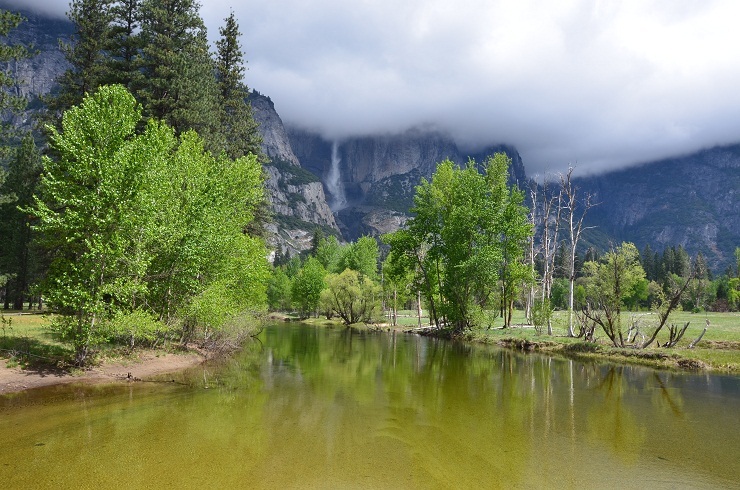 Tucked away in the southwest corner of the park, away from the hustle and bustle of the Valley, Wawona offers a vastly different Yosemite experience. 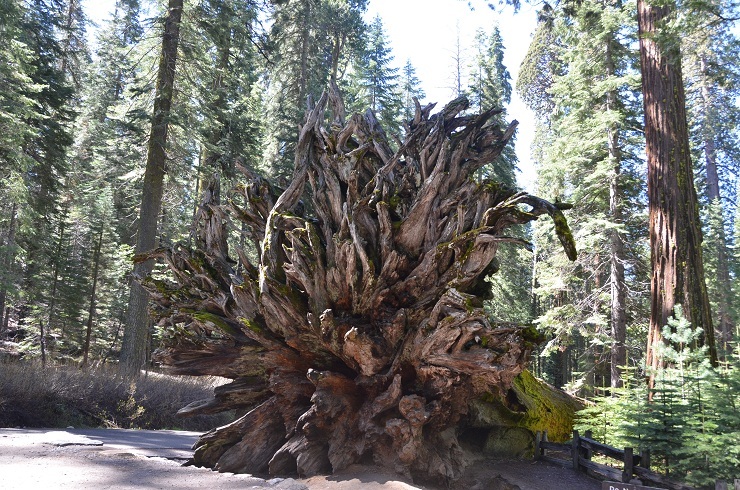 There is a smaller valley near Wawona with a nice waterfall and some good hikes, but the area’s main attraction is Mariposa Grove – a strand of about 500 mature sequoias, the only ones to be seen in this park. Not wanting to dawdle at the campsite like we had the previous day, we set out for a short hike before breakfast. It was a pleasant 2.5 mile round trip hike from our campsite to Mirror Lake. The lake supposedly reflects Half Dome, but in order to get that view one has to hike next to the road. We decided to walk on the more scenic horse path, so we wound up on the other side of the lake, looking up at North Dome instead. With only one full day in Yosemite Valley at our disposal, we sought to make the most of it by staying out on the trails all day. The park ranger at our campsite recommended an ascent up the Four Mile Trail to Glacier Point, which promised gorgeous views of the Valley, and a descent down the equally scenic-sounding Panorama Trail. When we started this blog, S backdated our early posts so that the events we were describing roughly corresponded to the dates they had occurred. That worked for a while, but eventually we realized that life moves way too fast and it’s ok if our blog sometimes can’t keep up. 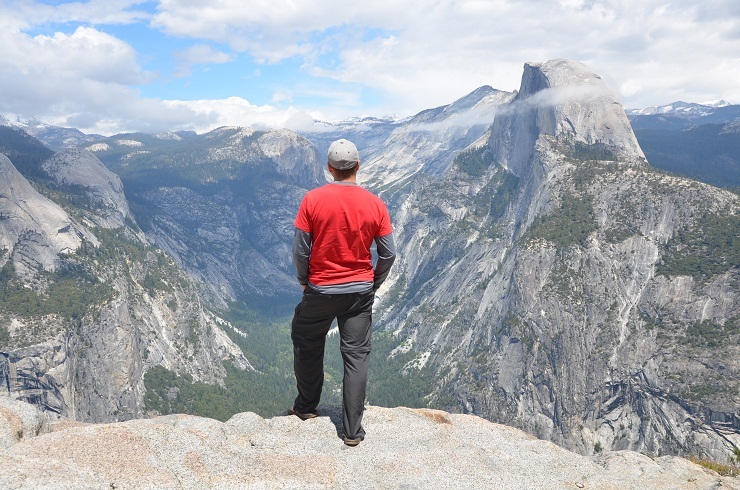 Neither of us had ever been to Yosemite before, and outside of a few pictures of Half Dome and rave reviews from every person we knew who has ever been there, we did not know what to expect. In researching this trip, D had looked at some photographs and read quite a bit about different hike options, but this barely gave a glimpse into the stunning beauty that awaited us in the forested valleys that had been carved through sheer granite cliffs by millenia of glacier melt. 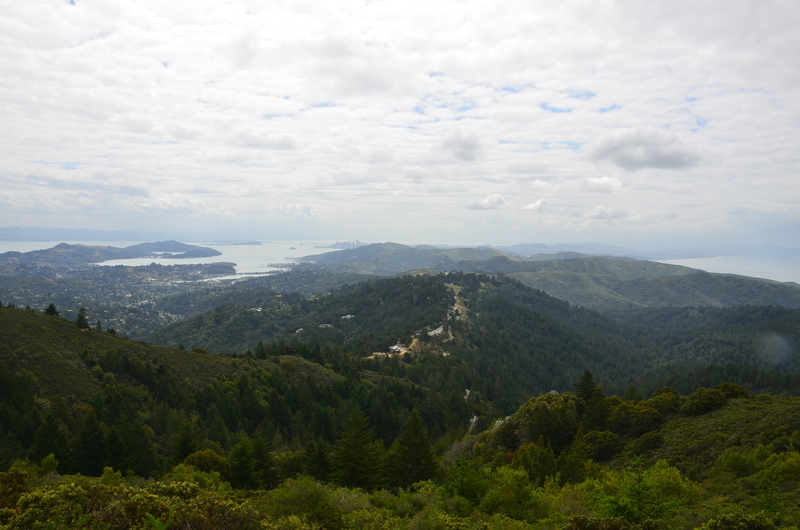 San Francisco was the start and end point to our three-week California loop. There is no way to do this city justice in just a handful of days, so we did not even try. We had both visited San Francisco before and did not feel like doing any of the typical touristy things. 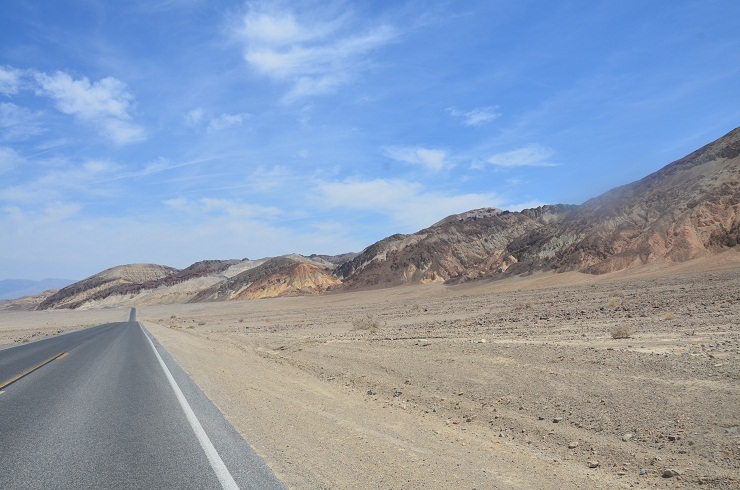 Instead, we treated the city like our base of operations, renting a car, borrowing necessary camping implements, and stocking up on supplies for our road trip.